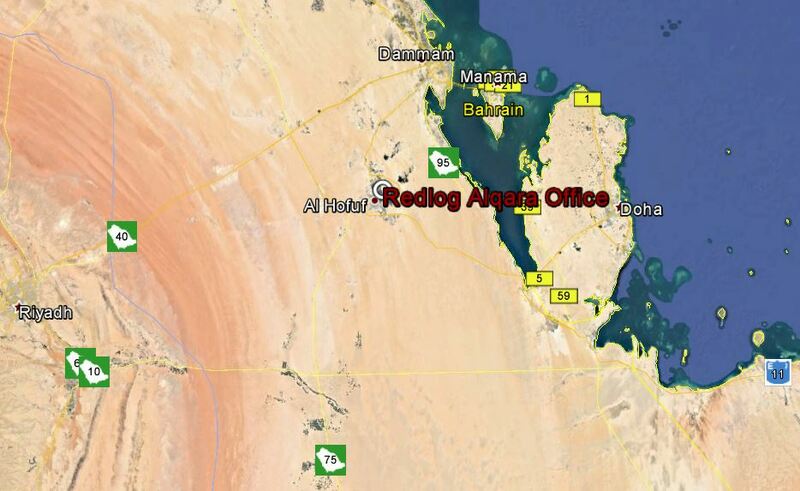 Introducing Our Newest Office – Alqara, Saudi Arabia – Redlog Environmental Ltd.
Redlog has been providing HSE services across Saudi Arabia since 2002. Over that time we have completed dozens of projects, including Phase I and Phase I Environmental Site Assessments (ESAs), HSE due diligence and compliance audits, industrial hygiene studies, HSE training, environmental impact assessments (EIAs) and site remediation. These projects have extended across the Kingdom, from Yanbu and Jeddah in the west, Abbha in the south, Riyadh and Qassim in central Saudi Arabia and Dammam and Khobar in the east. To better service our clients in Saudi Arabia, we have recently registered Redlog Environmental Ltd. as an operating company in Saudi Arabia. This will enable us to provide a full range of services to our clients in Saudi Arabia, including all permitting work required by the General Authority of Meteorology & Environmental, e.g., to carry out EIAs, and to obtain Environmental Certificates for any type of industry as required by Modon. Our new office is located in Alahsa, Alqara, Eastern Province, conveniently located and hour and half drive from Dammam, three hours drive from Riyadh and two hours from Bahrain and Doha. We are fortunate in that the office is located in one of the most beautiful areas in Saudi Arabia. Alqara is an ancient city, dating back before the birth of Christ. Prominent features included Alqara Mountain, with a fascinating caves system. Alqara Mountain is surrounded by one of the largest palm tree oases in the world. The city has an ancient tradition of handicrafts, considered as both cultural and social practices passed on from one generation to the next. Around fifty expressions of crafts and folk art have remained through out the city’s history and bear witness to Alahsa’s scenic wealth, including textiles from palm trees, pottery, weaving and joinery. This is truly a hidden gem and if you have the opportunity it is well worth the short drive from Dammam or Riyadh to visit this region. Visit the UNESCO Creative Cities Network website for more information on this fascinating city. Mr. Abdulaziz R. Alghafely, our newly appointed Alqara Office Manger is a Senior HSE Consultant with Redlog Environmental. 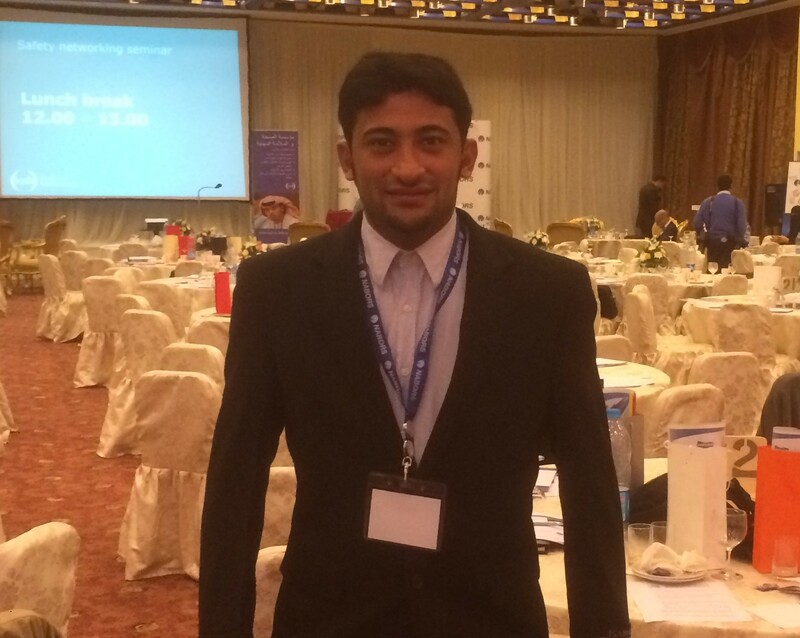 Abdulaziz is a Saudi national and graduate from the University of Findlay, Ohio, USA with a B.Sc. in Nuclear Medicine Technology and minor in Biology, and an M.Sc. in Environmental, Safety and Health Management. Abdulaziz brings to Redlog both a strong passion for solving HSE issues and real-life expertise, having worked for three years as QHSE Supervisor and Environmental Coordinator for Nabors, where he was responsible for implementing ISO requirements, developing a QHSE management system, and creating environmental management programs. He directly supervised QHSE standard operation of 38 onshore rigs, four offshore rigs, and five yards, located in remote locations in Saudi Arabia. Abdulaziz will be supported by other local and regional staff, and I will be making frequent trips to the office to provide full support to our KSA operations. Please do not hesitate to contact Abdulaziz via email at aalghafely@redlogenv.com or feel free to call him at 966-56-092-0369 if you would like more information on our services in Saudi Arabia or in the region. We will be pleased to assist in helping find cost-effective solutions for your HSE challenges. And, if you are in the area, drop by our office for a coffee! Thanks for reading. Keep safe. Be healthy. Respect your environment. I hope that you will bookmark the blog, share it with your colleagues and visit the blog frequently because you find it informative and helpful. I value your feedback and suggestions for future topics. Please enter your email in the box at the top of the post and subscribe to our blog HSE Asia - our weekly blog will be emailed directly to you. Managing Director at Redlog Environmental Ltd.
Dr. Randall Shaw is Managing Director of Redlog Environmental Ltd. He has a wide-ranging background in health, safety and environment, with a focus on those HSE issues faced by industry in Asia. Dr. Shaw’s blog posts on HSE issues in Asia are based on his experience from working in more than 30 countries, his pragmatic approach to solving HSE problems, and his desire to pass on this knowledge to others. Ultimately, his goal is to help HSE professionals and companies active in the developing world tackle their HSE issues. You can find him on Twitter (@RedlogHSE) and LinkedIn and he is always keen to discuss HSE issues with others. Posted in Asia, Environment, General, HSE, Laws and Regulations, Middle East and tagged EHS, Saudi Arabia.